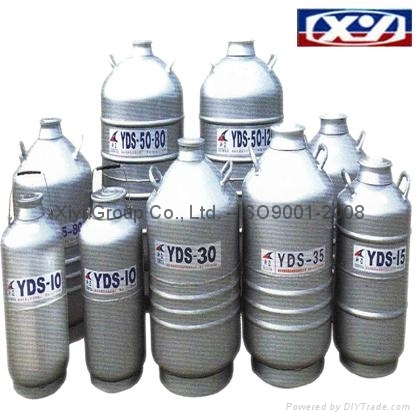 This series products has the characteristics of relatively large diameter for the short-term preservation of liquid nitrogen, a larger volume of short-term preservation of biological specimens, or the use of liquid nitrogen to the cold parts of a larger assembly. Conservation of biological medicine in the vaccines, bacteria, cells.as well as people , animals and other organs. With a larger caliber, the advantages of easy to operate. 1. the use of high-strength aluminum air. 2. can be used to put a drawer-style tube, to facilitate identification and access to independent samples. 3. it is equipped with protective cover , can avoid the bump in the use ,impact. 4. can be stored ,and animal organs, larger parts of the cold assembly. 5. high vacuum multi-layer insulation designed to provide a vacuum of not less than five years of quality assurance.